When selling my house for cash in Salt Lake City, should I take a cash offer on my property? I’ll tell you how to sell any house for cash, some good reasons to refuse a cash offer – and when you shouldn’t turn an offer down. If you’re selling a home in Salt Lake City to an end purchaser (the buyer who will be living in the home), chances are fair to say it will be bought with a bank loan. Most transactions don’t close with cash, because most buyers don’t have the that kind of money. Even most experienced investors don’t close deals with cash. It’s easy to let a Lender share the risk, even if you have the money – most investors spread themselves too thin. At Salt Lake City Home Buyers we don’t spread ourselves too thin, because our main goal is to build stable communities around Salt Lake City. You don’t have to hassle with the months of stress weather or not a buyer will get a mortgage, only to be told that the bank eliminated the program and you’re back to square one. You don’t have to list your house with a Realtor and pay a large commission. You don’t have to hassle with a lot of buyers just “kicking the tires” and checking out your property for fun or to get decorating ideas. We don’t waste time when it comes to us buying a house. This is our business. You don’t need to clean up, paint, or make repairs. We take houses just as they are. You won’t waste time or money on junk haulers or contractors. You don’t need to deal with any contracts. We have it all covered. Have you checked to see if your cash buyer is reputable by going to the Better Business Bureau. 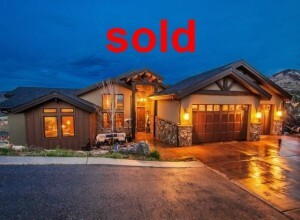 At YourPriceMyTerms.com we are the top Salt Lake City Home Buyers, we offer great references of past sellers we’ve helped, we can show you examples of some of the latest projects we’ve worked on, and we’ll be happy to answer any questions you have so you feel comfortable. We pride ourselves on being a strong part of the Salt Lake City community. Our local mission is to help local Salt Lake City Utah homeowners who need to sell your Salt Lake City house fast do it very quickly, with terms or at a fair price to you, and to assist in improving the beauty of neighborhoods one house at a time. If you’re wondering about selling my house for cash in Salt Lake City or just need to sell a property near Salt Lake City, we can help you. Sell Your House Fast And Be Done With It! We buy houses FAST in ANY CONDITION! We pay CASH and pay all closing costs. We offer win/win solutions that will put more money in your pocket and help you move on. Put your address and email below and answer 5 easy questions on the next page to get a cash offer in 24 hours!